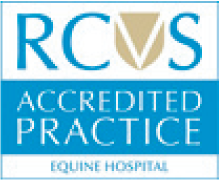 The Sussex Equine Hospital offers state-of-the-art laparoscopy surgery for horses. 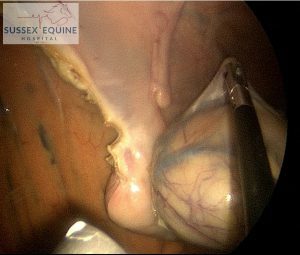 Laparoscopy is key-hole surgery into the horse’s belly, involving inserting a camera through small incisions to view, assess and treat internal organs such as the spleen, intestines, ovaries and retainedtesticles. The most common procedures performed include removal of retained testicles (rigs); removal of ovaries because of tumours; closure of the nephrosplenic space (between the spleen and the left kidney) where the gut can become trapped causing colic. Other organs can also be treated, including parts of the gut, the diaphragm, the epiploic foramen, and the bladder. The advantages of laparoscopy are multiple. Key-hole incisions are very small leading to minimal scarring, low pain and shorter recovery times. Organs are clearer on the screen via key-hole than conventional cut-down surgery and many key-hole procedures are performed on a standing horse without the need of a general anaesthetic. Historically, laparoscopy has been developed in humans and other animal species, including dogs, cats, ruminants and elephants. An ovary has been dissected free, to be removed from the abdomen via key-hole surgery on the standing horse. 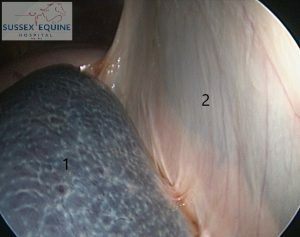 Intra-abdominal view of the left testicular cord (1) of a horse undergoing standing laparoscopy. The horse had been previously castrated on the left side. The gut (2) can be seen on the left side of the image. 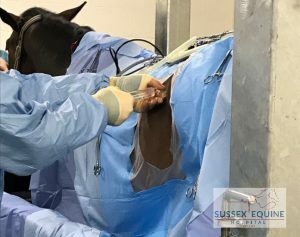 The surgical team at the Sussex Equine Hospital, which includes Andy Crawford, Luis Rubio-Martinez, Nigel Woodford and Hannah-Sophie Chapman, have ample expertise and routinely perform laparoscopic surgery on horses. 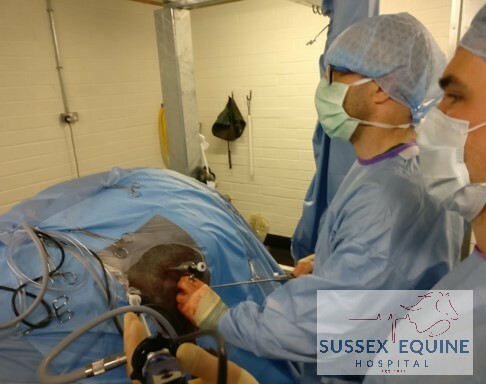 If you have any questions or queries or any horse that you think may benefit from laparoscopy, do not hesitate to contact the Sussex Equine Hospital on 01903 883050 or email info@sussexequinehospital.co.uk. Intra-abdominal view via key-hole surgery of the space between the spleen (1) and the left kidney (2). This space can be sutured closed to decrease the risk of nephrosplenic entrapment. Please fill in the form and click submit to register with us. 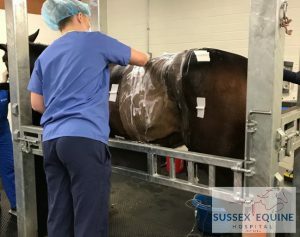 All Sussex Equine Hospital Equine products areguaranteed from the inside out.